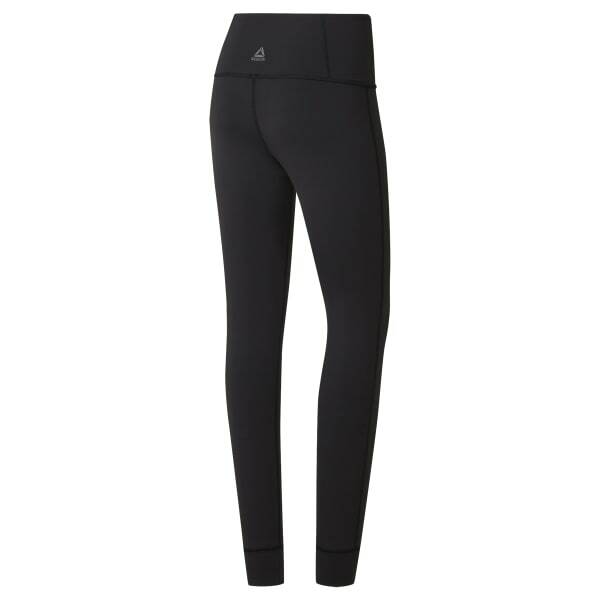 If you're looking for tights that are perfect for any activity, slip into these leggings. Ease into your yoga session backed by the secure, flattering high rise construction. As you warm up with each sequence, the infused Speedwick technology keeps sweat away so you can keep your focus on your practice. Flat-lock stitching sits smoothly against your skin for chafe free wear.